This tree decoration from Accessorize (£6) is the perfect cheeky chappie to add some festive cheer to your home. Designed by Gisela Graham, this brilliant bristle style owl would be a charming new addition to any Christmas tree. 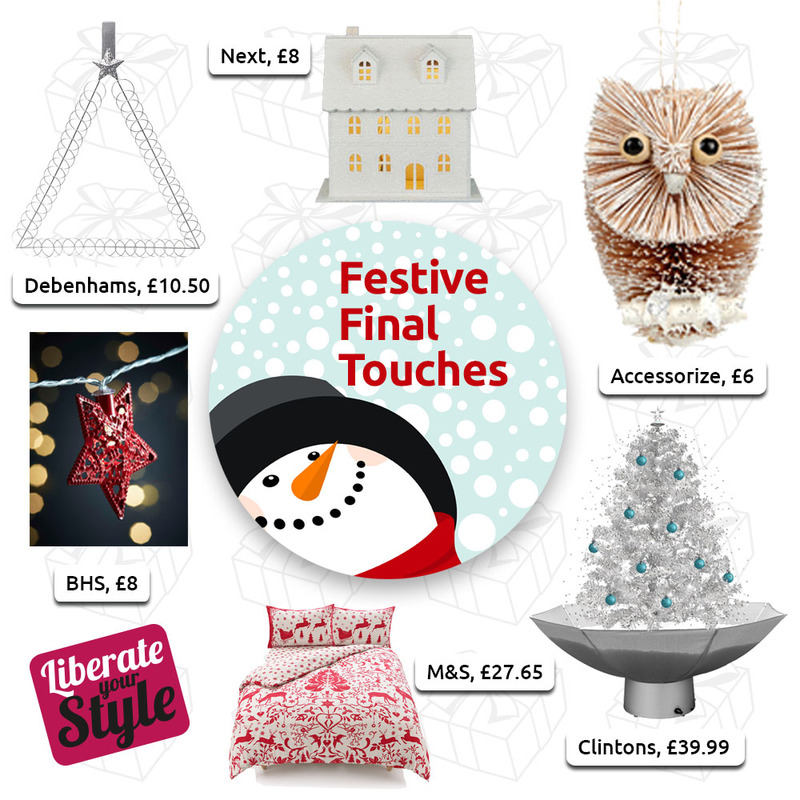 Struggling to stylishly display all of your festive correspondence? This card holder from Debenhams (£10.50) is a festive must have, a perfect way to organise your Christmas cards. Its twinkling star will add a subtle touch of seasonal joy to any home. Looking for a festive talking point? Why not pick up this mini silver snowing and musical tree from Clintons (£39.99), it will keep the kids and even more grown up Christmas visitors full of festive cheer. Fairy lights are a simple way to add even more Christmas glitter and sparkle to any room, we love this red star string lights from BHS (£8). Finally, make sure your seasonal guests snuggle up and feel festive every moment they are with you, with some cosy Christmas-themed linen, like this bedding set from Marks & Spencer. For Christmas shopping inspiration, right up to the last minute, take advantage of The Liberty’s Christmas opening hours or follow us on Facebook, Twitter or Instagram.